One of the best ways to do this is by going out for a ride. After work I used to ride back home. And do you know what was the great thing about it? When I arrive home I always felt refreshed and more energetic. Riding a bike is great as it can improve your mood and alleviate the stress. But it can also do some good to your budget. Yeah, you know, the money people spend for gasoline for their vehicles? A bicycle doesn’t need any fuel. Not only that but it is good for the body and the overall health. And nowadays we are less and less active so we can use every little bit that helps. The bike can be used to go to work, to go to the park and in general as a great relaxing activity. Depending on your shift hours or if you enjoy longer trips with your bike you might need to ride back home during the night. And during that time the visibility is low which can lead to incidents. In order to make sure we are safe on the road during the night it is advisable to have good lights. A good front light will allow you to see better the road ahead of you, so you can decide where to drive. It is also great if you have back light so it can allow other people to see you from longer distances. The bicycle lights are an important and useful bike accessory. Best of all they are affordable. But even then you cannot place price on being safe. This is one of the brightest bicycle lights on the list. It will help you see the road better and also will provide for other people to see you from distance. A great bicycle lamp for safe commuting during the night. The set is affordable, portable, and has many good features. The headlight and taillight are USB rechargeable. The lamp also has one touch control and there are three working modes: strong, soft, and flashing. It is 700 lumens which will provide for good visibility of the road while cycling. It can illuminate the road for more than 160 feet ahead. A rear light is a must when talking about safety on the road. The rear light is great for better visibility to the other people on the road. The light is also waterproof and dustproof, great for all kinds of weather. It is IP65 waterproof rated which is great for outdoor use. The lamp also has adjustable mounts. No tools required to install them. This is one of the best options on the market. The USB rechargeable set is great option for people that love to ride the bike during the night in darker conditions. This item comes with headlight and a tail light. A good taillight is vital to the safety on the road. Especially when cycling during the night you want to be clearly visible to the cars and other people on the road. This bike light set will provide for your bicycle to be visible from longer distance and at night. 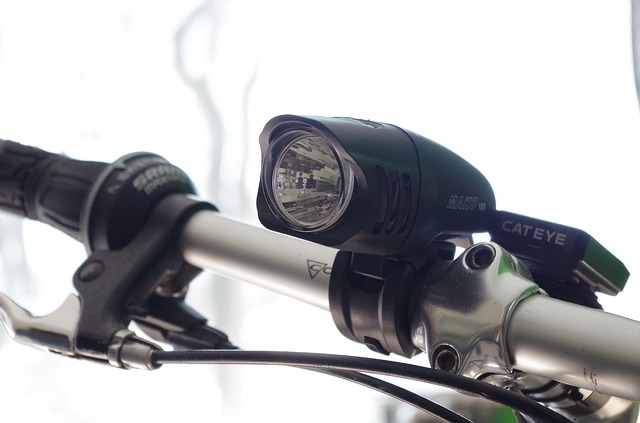 The front light of the bicycle will allow you to be able to see your surroundings better. It has 320 lumens output. It can easily be used as an emergency flashlight too, you can use it in the car, basement, attic and more. It is also impact resistant and IPX5 water resistant. The Light comes with some really neat features. It offers USB recharging and it comes with USB cord. The light can be used for about 2 hours on high. The light offers 200 lumens which can be used even during the day for added safety. There is also LED taillight, that is great for better visibility of your bike when you are riding it. The other people and vehicles will be able to spot you from greater distance. And this will lower the chances of accidents on the road. The lamp has universal fit, it can be attached quickly and hassle-free. The item is lightweight it is about 80 grams. It is also IPX5 rated which is great for different weather conditions. Even when it is raining you can still ride your bike and use the light. The light has good design, it is affordable and easy to use. This light set comes with front and back lights. This will offer you a good visibility on the road. Especially during riding your bike at night. With a good night light you will be able to see more clearly in the night and others people will be able to see you more clearly too. It is USB rechargeable and it comes with a USB recharging cable. You can charge it from different power sources such as laptop or other. The lamp is easy to install on your bike. It is also compatible with different frames for different bikes. It can be used in different situations too. Depending on the helmet you have you can try and attach it there. Using it as a makeshift headlamp. The front light is bright, and the back one is great for better visibility. The set of lights is affordable, and good option for cycling in low light conditions. It is not one of the brightest options as the headlamp is only 20 lumens but it is definitely a good choice. This lamp is build with good and durable materials that at are of high quality. The kit is great because it has a front light and a back light. That way you can see ahead of you and the back light will make you visible from long distance to the other car drivers and people. The lamp is LED and offers 200 lumen. It is powered by 5 AAA batteries, 3 in the front and 2 in the back light. The light can easily be attached to the bike frame. In order to place the holders you don’t need any tools. They are also provided with rubber brackets that are adjustable in order to fit on the different bike handlebars. This bicycle torch is made with solid aluminum and can be easily detached from the holders in order to be used as a flashlight. This is especially useful if you want to leave you bike somewhere and you don’t want your light to be stolen. The light is great option for people that travel at night it provides good visibility and better safety.